Incorporating generations of operational experience, Elbit Systems’ trainers and simulators span the full military spectrum. Developed by pilots, tank commanders and naval officers, they employ the latest technologies and training concepts. Their accurate recreation of conditions, systems and munitions translates into increased force readiness. Linked together for interoperability, Elbit Systems’ training solutions replicate combat scenarios for which coordination is crucial to success. 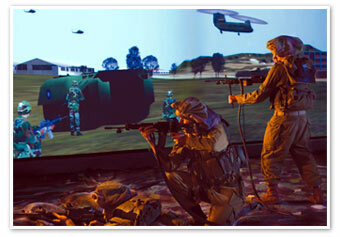 BEST is Elbit Systems’ joint simulation forces training infrastructure. Based on a common, core technology, BEST answers the demand for trainer interoperability among air, ground and naval forces and has already been selected by the Israel Defense Forces as its joint forces simulation infrastructure. Adaptable across-the-board to virtually all training configurations, BEST enhances full spectrum, joint forces training while reducing overall costs. BEST combines a broad range of capabilities to provide the following key features synthetic environments (SAFs, terrain weather) common knowledge management and data bases, HMI guide training management and AAR, VoIP common simulation services, real-time operational C4ISR interoperability and LVC (Live, Virtual and Constructive) multiple sites for training and debriefing. The TBT is an ideal solution for training Commanders and Staff from Company level to Battalion/Battle Group and Brigade-sized operations. Combining tactical battlefield simulation with actual C4I systems, the Tactical Battle Group Trainer’s unique concept enables the Battle Group leaders to acquire tactical reasoning methods, skills and procedures. The TBT is already operational with the Israel Defense Forces and was recently upgraded to facilitate training in LIC scenarios, urban warfare and counter-terror operations. 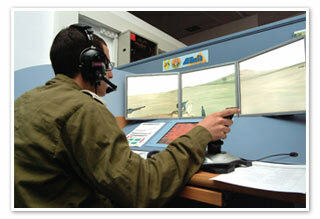 Complete coverage of the ground battle arena is enhanced by our additional advanced Training and Simulation solutions including: C4I and Virtual Environment Upgrade for the IDF’s NTC Live Training, Anti-Tank Missile Simulators, Artillery Training Systems, Mission Planning, and Rehearsal & Debriefing Systems. The HLS2 is our unique training system aimed to train HLS organizations, HQ and field commanders in full urban (facility and city levels) emergency scenarios. This virtual – constructive system combines urban infrastructures with crowd and traffic and allows training for a variety of scenarios such as crime, terror, hazard materials, search and rescue. By using HLS2 multidisciplinary coordination and mutual situational awareness are enhanced and doctrines are developed. The system was awarded by the Israeli home front command as well as by other customers. 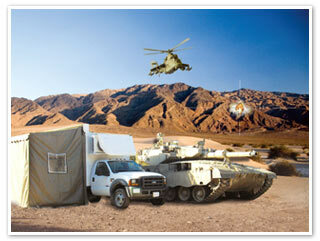 The MA2CS is a mobile, fast-deployable configuration of the robust AGTS. MA2CS includes all of the AGTS operational support, with the flexibility of facility-free large-scale AGTS training, anywhere, anytime. For field-deployed forces the MA2CS takes the already-proven AGTS ROI a huge stride forward. Each MA2CS unit has its own onboard computers and IOS, thus it can work independently, and can connect to other MA2CS devices for unit-level training. The MA2CS enables the commander to look out the hatch (OTH) using a Head Mount on Display (HMD). As a direct benefit, the MA2CS requires no additional software for seamless integration with the AGTS. The Matador training system is an advanced AFV driving simulator, mounted on top of a motion platform, specifically designed to provide AFV drivers with the capability of performing ‘real-life’ training. The Matador includes all of the AGTS and MACS robust operational capabilities yet with the professional focus on the necessities of the contemporary AFV driver. This simulator supports several types of AFV per cabin, with full scale authentic replica of the driving cabin. The systems allows driving in any given arena (terrain, weather, etc. ), and participating in a range of contemporary combat and non-combat scenarios. Matador’s IOS incorporates, providing the instructor with visual (watching the trainee) and instrumental (monitoring the trainee’s panel and instruments) perspectives. Matador saves time and material expenses (with proven ROI) by mobile, scalable and modular deployment; multi-AFV type support; network based architecture; and seamless network integration with other relevant simulation systems (DIS/HLA). The combat vehicle platforms simulator answers the need of enhanced training, tailored to the specific platform. 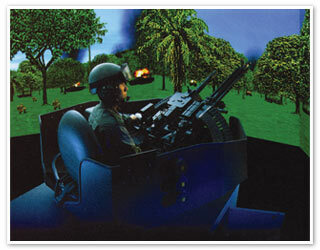 Based on data link technologies the combat vehicle platforms simulator generates a comprehensive virtual environment for training as close to reality as it gets. Tailored to individual needs the system provides the flexibility to generate realistic performance of various types of sensors, weapons and systems. The combat vehicle platforms simulator allows for both fighting equipment and tactical options to be trained separately or in a combined fashion. The system is available in three possible forms either by a stationary unit, a mock-up or a mobile unit, appended to the combat vehicle transforming it to a simulator. Our whole solution for weapon operators, tank and ACV crews includes a variety of solutions – Embedded, Appended and stand alone, fixed and mobile with and without motion for gunnery, driving, crew and formation training. CLTS is a complete tactical live training system, which combines infantry and armored vehicles laser suites, independent field communication and control capabilities into an integrated, realistic live training solution, operating according to specific doctrines, while reducing costs. This Live Training system provides efficient training in any operational terrain and is fully independent and deployable with no need for external infrastructures, thus increasing training flexibility while allowing the converge of the entire training cycle from preparation to After Action Review (AAR). In addition, the system improves instruction and sharpens performance and efficiency since it uses all of the actual platforms and weapons combined with a virtual representation of force components. CLTS includes a unique solution for urban and close terrain training by a combination of independent navigation and GPS based tracking and positioning module.